Whenever I tell people I’m headed to the barn so my horse can get a massage I get such a sideways look. I usually halfheartedly grumble and say that I haven’t ever had a massage, but my horse gets them monthly, spoiled brat, sigh. 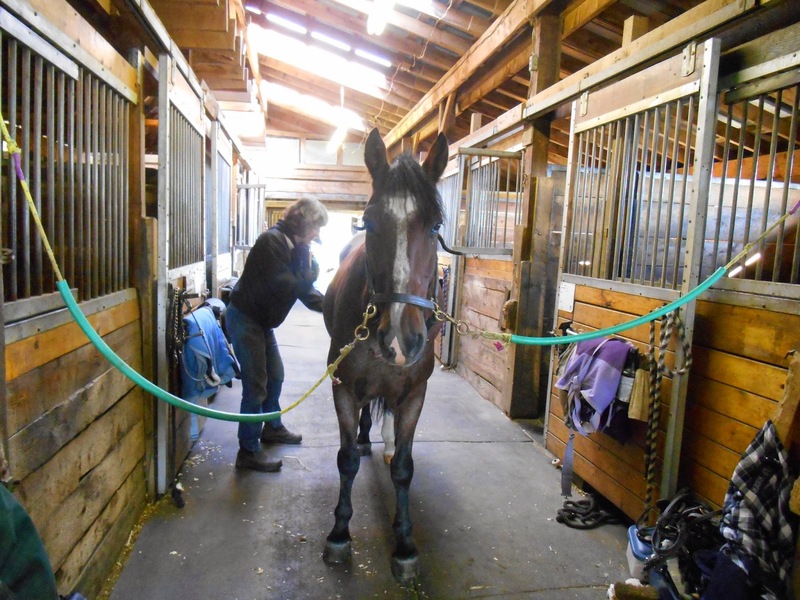 The truth is I feel very fortunate to have a good friend who is a talented massage therapist, and a horse who responds very well to the practice. I get to spend an hour or two with one of my favorite people, and get to have a monthly conversation with her about how Tristan is going. One of her daughter’s horses was the first horse I’d ever met with Cushings, and she is a thoughtful, knowledgeable, and pragmatic horsewoman, and has been a source of comfort and information for me as I feel my way through managing the new Tristan. This month, there was pretty much no bad news. Tristan’s muscle tone has improved dramatically, and she confirmed that my eyes do not deceive me: his topline is returning. He was tight only in his gaskins, from all the hill work, when in the past he has had ongoing hot spots related to his RF and that whole drama. We agreed that he needed a little bit more weight, so he’ll get a little bit more grain and we’ll add some alfalfa pellets to the mix. Perhaps best of all: J. arrived with two blankets that used to belong to her Standardbred, who was just the most wonderful horse and about Tristan’s size. They are much-loved but perfectly serviceable, and fit him very well. So he has a stable blanket and midweight for the winter! I will take pictures for a fashion show at the earliest opportunity. It's good to be Tristan! I don't think there's anything wrong with spoiling the horses with some massage! I think it helps them a lot – I think my horse could probably use one; she always seems to have tight muscles.